The Stogsdill Law Firm, P.C. When Is Shared Custody Appropriate? Choosing a law firm to handle your family law matter is a very important decision. The knowledge and experience of your attorney is an important factor in the outcome of your case. 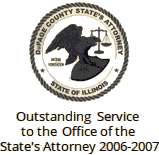 At The Stogsdill Law Firm, P.C., in Wheaton, we have provided high-quality family law counsel and representation for over 40 years in Northern Illinois. Collectively, our attorneys possess more than 110 years of combined legal experience. We are one of the largest family law firms in DuPage County, yet we continue to offer the personalized legal services of a boutique law firm. Our attorneys are available to our clients 24/7, and we maintain close communication throughout the duration of our services. Why work with us? Learn more about us and see why we may be a good fit for your legal needs. 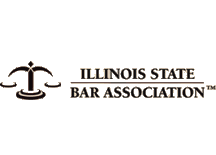 For over 40 years, attorney William J. Stogsdill has practiced law with distinction in Illinois. He is deeply committed to every case he takes, and fosters the same work ethic in every attorney at his firm. No matter how simple or complex a case may be, we dedicate ourselves to delivering the best possible outcome for our clients. 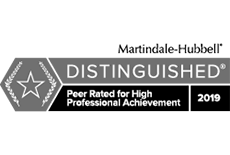 Our firm works with all types of clients, including high-asset clients, professionals, and those of modest or moderate incomes. Our attorneys are available at a variety of rates, and we will work with you to meet your budget. For every family law matter, we strive to find solutions that are effective and efficient. If we are not able to settle your case through mediation or negotiation, our experienced trial lawyers will litigate on your behalf. When the stakes are high, having an aggressive attorney in your corner can make all the difference. Our firm is known for representing our clients’ rights and interests both at the negotiating table, and before a judge through litigation. When resolving a case is not possible, we believe in forcefully advocating for our clients in court. Our strong reputation as litigators often helps us to settle challenging cases in our clients’ favor. In fact, many of our referrals have come from opposing parties who have witnessed our effective advocacy from the other side. Learn more about how our lawyers can assist with your family law matter. Call 630-462-9500 or send us an email to schedule a consultation. New client inquiries only — call 630-690-6077. What Legal Issues Can Arise in Different Types of Adoptions? Can I Appeal the Decisions Made in My Divorce Case? From our office in Wheaton, Illinois we serve clients throughout DuPage County, Cook County, Kane County, DeKalb County, Kendall County and Will County including the communities of Naperville, Lisle, Glen Ellyn, Downers Grove, Warrenville, Winfield, West Chicago, Carol Stream, Bloomingdale, Lombard, Woodridge, Darien, Burr Ridge, Hinsdale, Clarendon Hills, Elmhurst, Oak Brook, Westmont, Addison, Roselle, North Aurora, Geneva, St. Charles, Bolingbrook, Batavia, Joliet, DeKalb, Sycamore, Yorkville and Oswego.